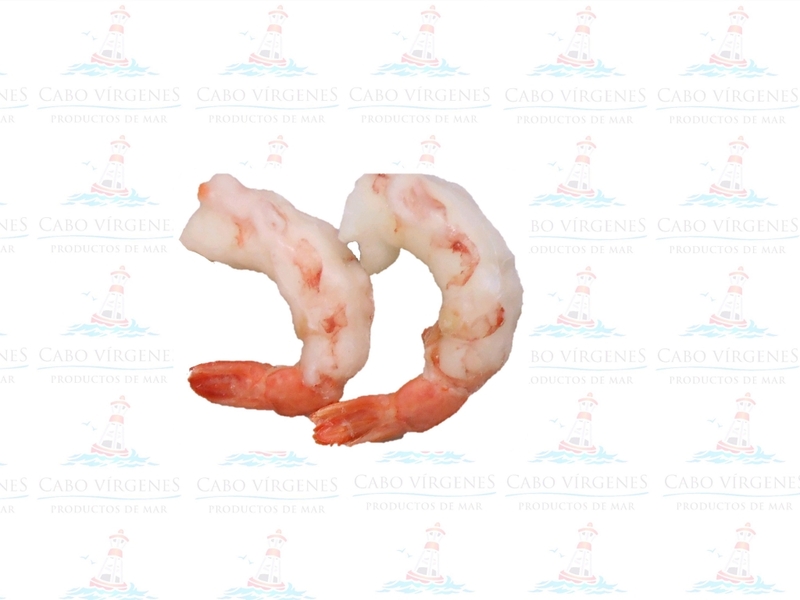 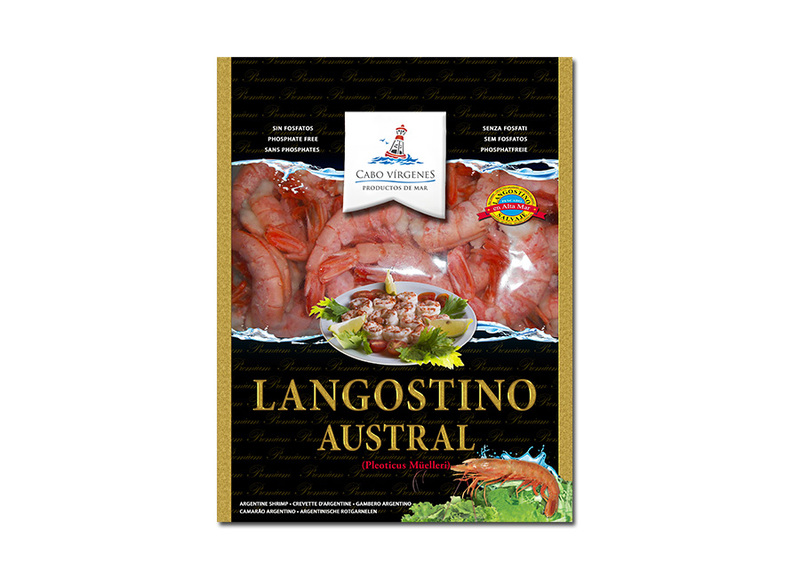 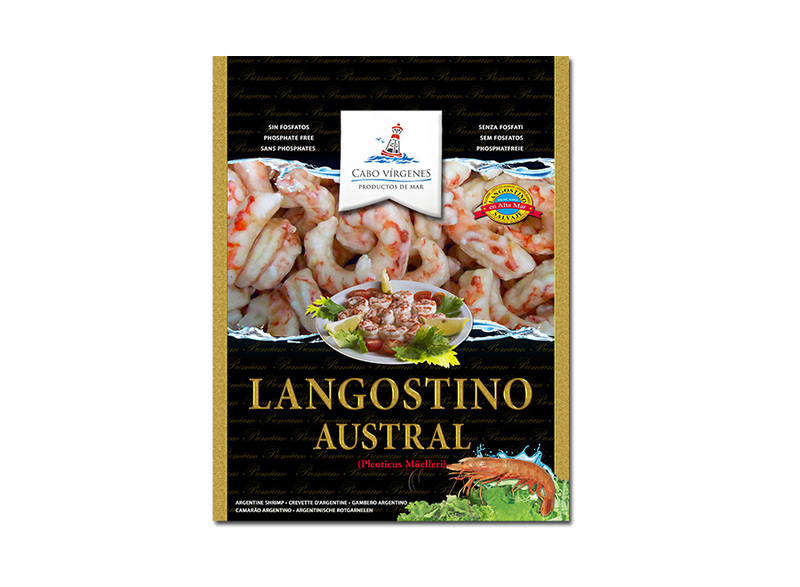 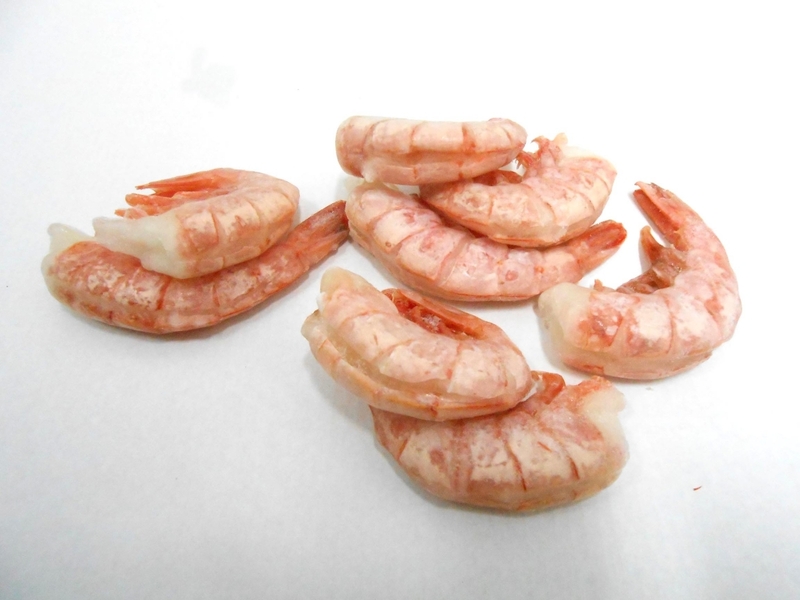 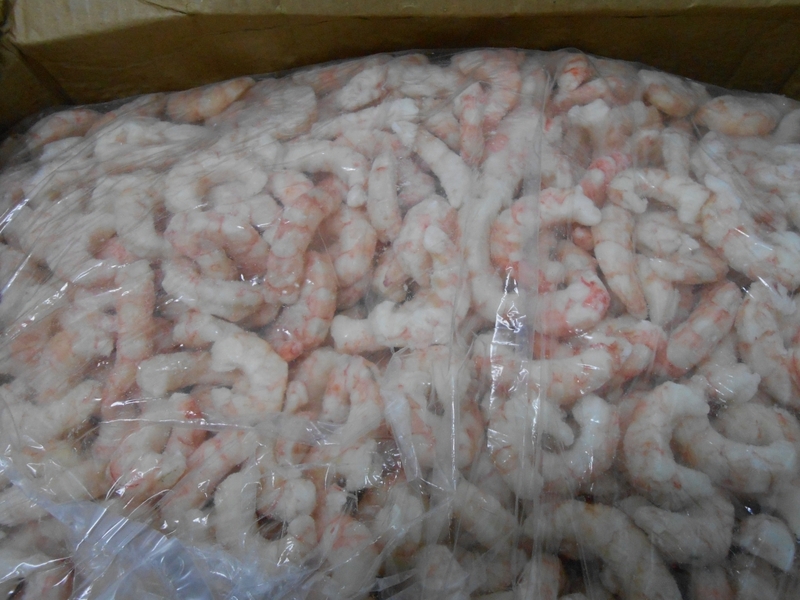 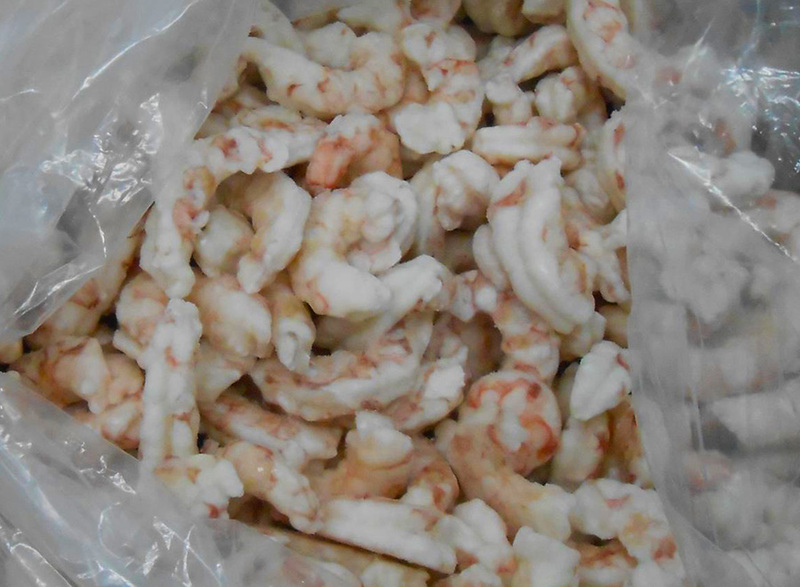 In our reprocessing plants, and starting from the Argentine Red Shrimp tails as the raw material, Cabo Virgenes manufacture different added value formats. 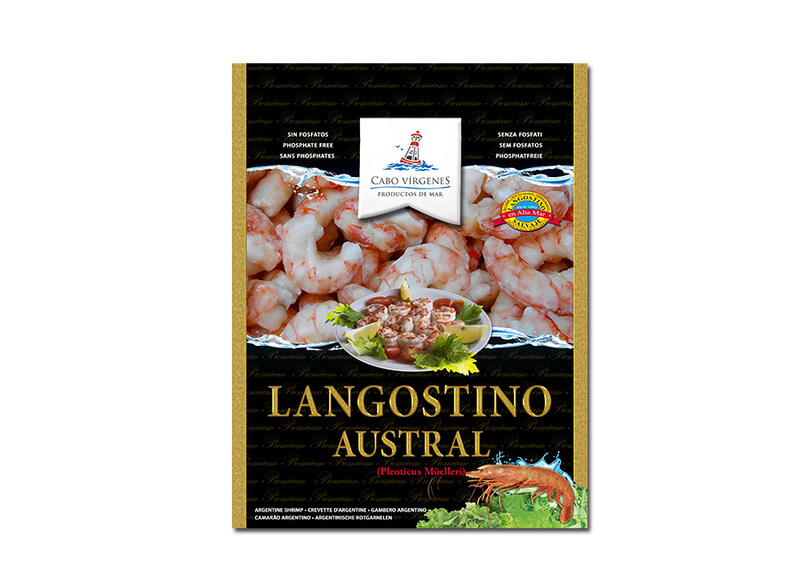 These products make our offer wider and provide our customers different options for final presentation of our leading product. 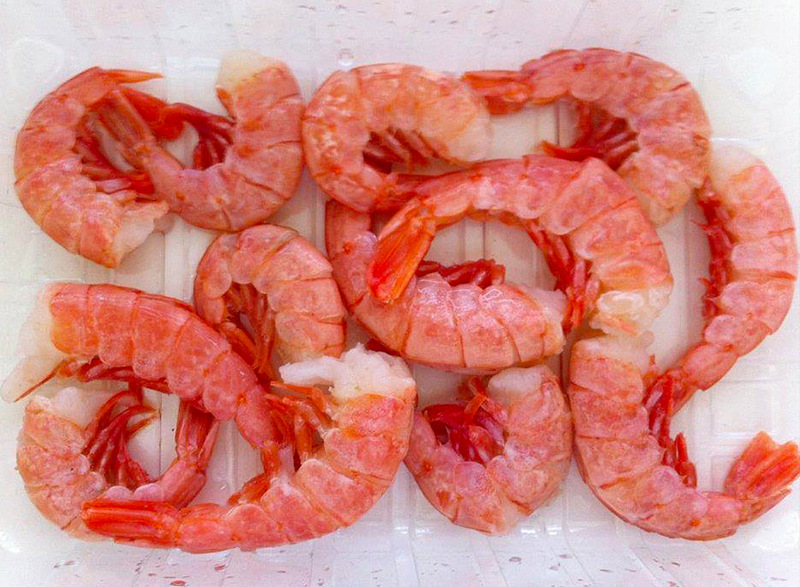 Presentation: Argentine Red Shrimp Headless, raw, deep-frozen, “Easy Peel”. 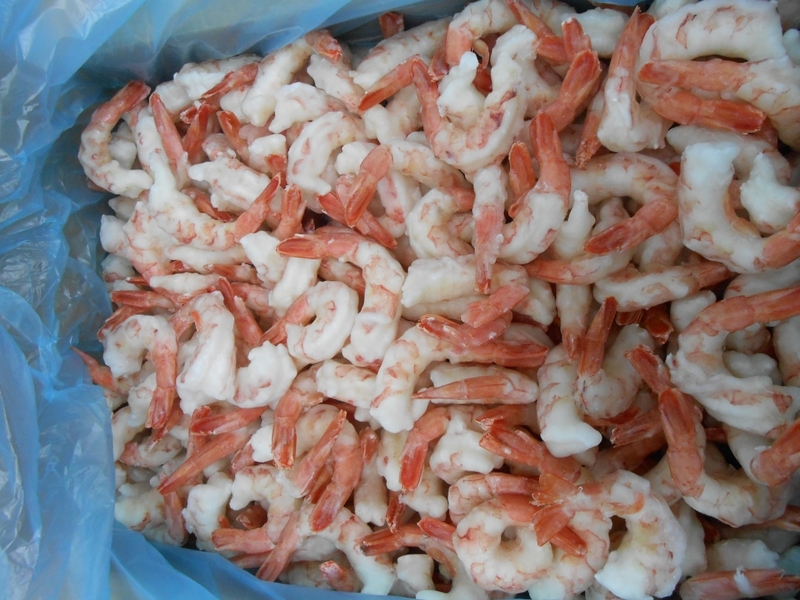 Catch Area: FAO 41, Atlantic Southwest. 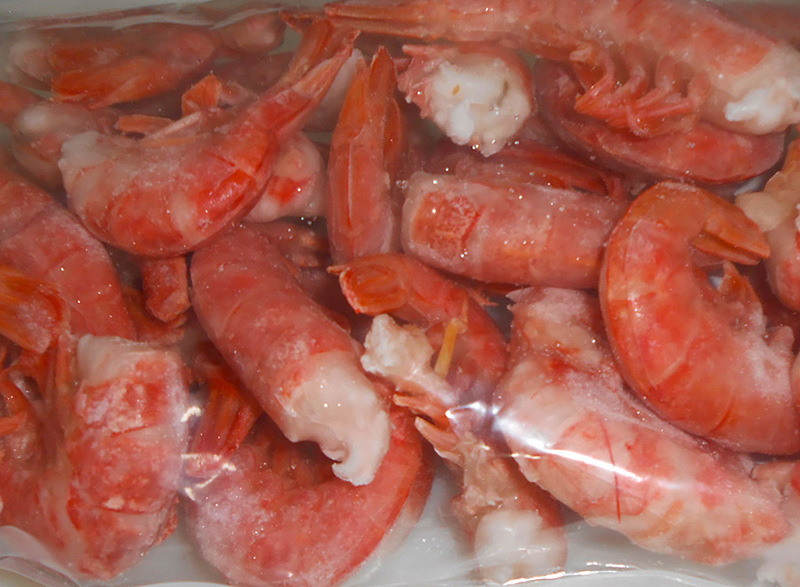 Presentation: Argentine Red Shrimp Headless, raw, deep-frozen, peeled deveined. 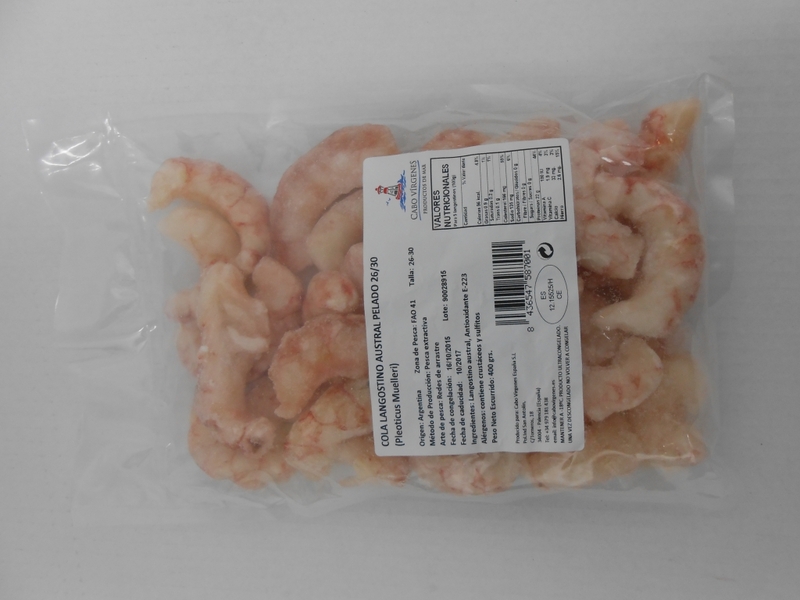 Presentación: Argentine Red Shrimp Headless, raw, deep-frozen, peeled. 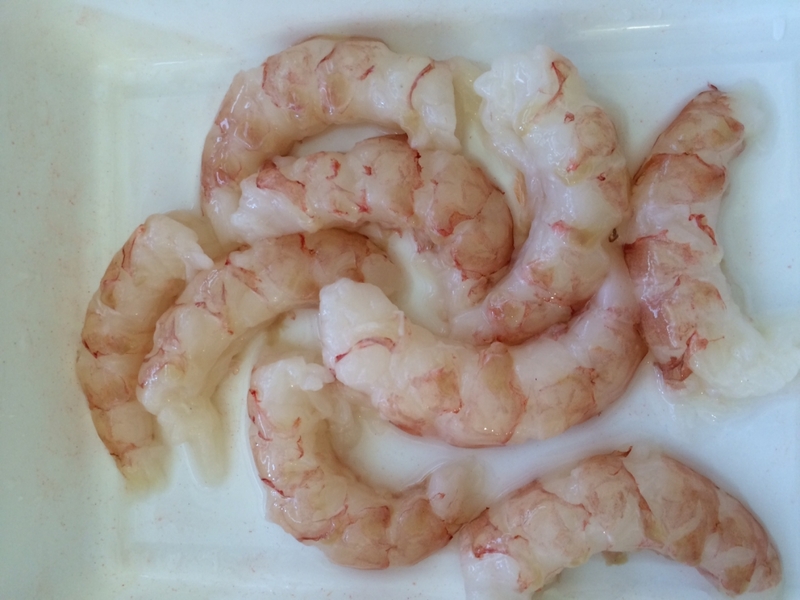 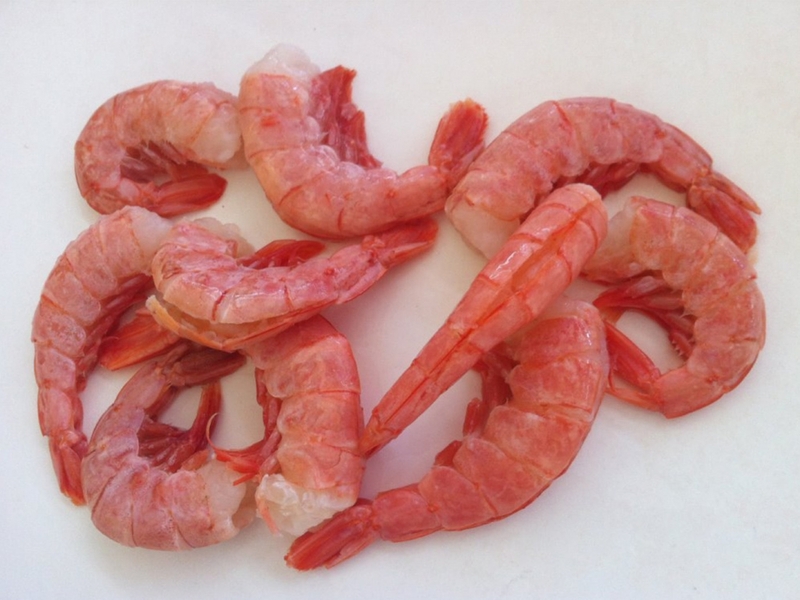 Presentation: Argentine Red Shrimp Headless, raw, deep-frozen, peeled deveined “Tail on”.